Brodie Stephens remembers when and where it all started. After 18 months of trying to dunk and being inspired by those older than him, Stephens finally was able to throw down, and a whole new life adventure had begun. “It was at the end of 2010 and I think it was with my left hand,” he recalled about his first dunk. Everyone who ever plays basketball at a junior level habours ambitions to one day experience how it feels to dunk. 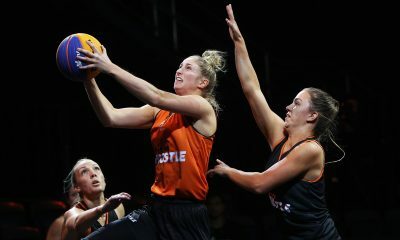 It’s the basketball skill that usually ends up on posters and highlight reels – it’s the fancy dessert platter on the basketball menu that everyone wants. 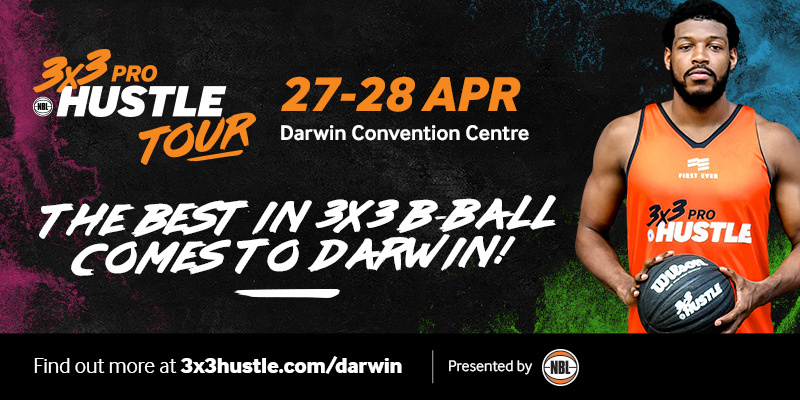 Stephens was no different while growing up in Townsville, but his drive to dunk was probably stronger than most. “It started as I just wanted to be able to dunk, before that it was I want to touch the ring or I want to touch the backboard,” he explained. “When I was in grade eight I would try to dunk school hats or shoes. “I remember I dunked a Rubik’s Cube once and shattered it. It was anything I could find, just stupid things like that. “I would also dunk on a lowered ring. I had one of those Big W ones in my driveway and I would lower that. I actually have some old footage of that, I just found that the other day. It’s pretty grainy footage, it’s on like an iPhone 2 or something. “I was in high school, grade eight at the time, and at school I would see the year 12 or 11 kids trying to dunk. Looking back at it now, they were barely rim grazing, they were missing just simple one handers and stuff. At the time I was looking at that and thought that was amazing in itself. It sounds simple to just say you worked on your dunking like a player would work on a free throw, but when you consider the immense difficulty level attached to dunking, it becomes a much more complicated task. Before you can get creative and think of insane dunks, you need to be athletic enough to actually jump high enough to reach the rim. While some might think building muscle mass and strength in the legs is the easiest way to improve your vertical leap and thus become a better dunker, Stephens says he barely touched weights in high school. Instead, putting an emphasis on mechanics and technique of the jump is far more important in his mind. “All through high school I never really touched weights…I can credit probably 90 percent of it to jumping but it’s not just jumping,” Stephens explained. “It is max effort jumping where you’re doing a full arm swing, a big run up and you’re basically using 100 percent of everything you’ve got. I’ll do it and my upper body will be sore the next day just from the motion because you swing so fast. Most of my jumps were like that. “A lot of people are like all you have to do is jump but they’ll be jumping at 80 percent or they have bad jump mechanics or something and they will get to only 80 percent of their potential. Getting in the air is one thing – working out what to do in the air is the other. And that’s when things get really fun. Dunking is an art and creativity is a key element in crafting a masterpiece. Stephens named a host of inspirations for creating dunks, such as YouTube legends Air Up There, T-Dub and Melbourne’s own Area 51. He believes seeing what fellow pro dunkers do, and then merging them with your own personal ideas, are critical in inventing something spectacular. It may sound complex, but according to Stephens, if you link it back to a video game classic, then it becomes a much clearer idea. “It’s similar to NBA Live on the PlayStation 2 when you had the dunk contest, you would have to press X and then press O or something, so you could do a certain type of pass and then you would go to a certain type of windmill or reverse,” Stephens said. “I guess you just got to break it apart a little bit like that. “The creative process is just you’re combining dunks. You might combine a 360 eastbay with a backboard tap switch hand or something. “Even doing a simple thing, instead of doing between the legs one hand, you’ll go two hands or you’ll try and do reverse two hands after. 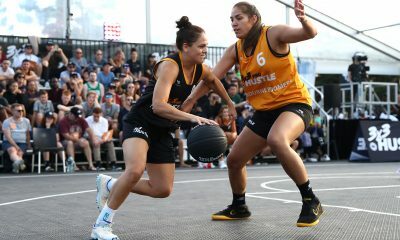 Another element of unlocking your full potential as a dunker is having the confidence and mental capacity to embrace new concepts and attempt them. Stephens thinks this is a barrier that many dunkers can’t navigate, which in turn limits their aptitude to complete better dunks. 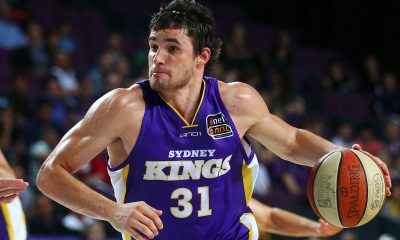 The Townsville native doesn’t want to get stuck in that mould, saying he is happy to welcome any dunk, no matter it’s level of toughness, with open arms. “I’ve seen a bunch of top level pro guys who might just do five or six dunks and they won’t expand their repertoire,” Stephens said. “I don’t want to be one of those guys, I want to be someone who can just do anything on any day. “I think that’s where a lot of guys kind of get stuck. They don’t attempt new stuff that is probably well and truly in their potential. “If you keep on doing the same dunk over and over, you’re going to be very limited and your body is only going to be ready for one kind of jump. “I’ve fallen into that trap before where I’ve just been practicing 10 different dunks when really I should only be practicing like four different dunks and becoming real consistent at them. I’ll waste my energy in a dunk session just on one dunk I might not even hit. 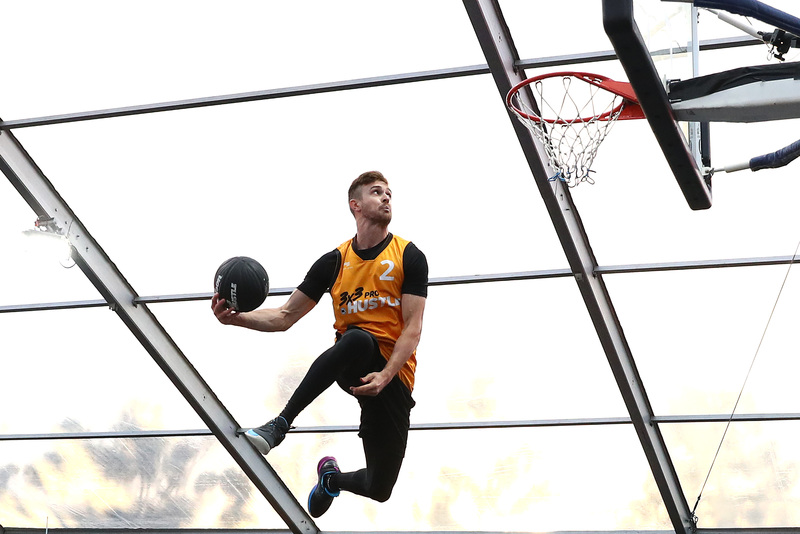 Stephens made headlines at last weekend’s NBL 3×3 Pro Hustle in Geelong, where he competed in two dunk contests. However, it wasn’t because of the dunks he made. Instead, it was a post-contest height check that caught the eye of many, when Stephens hit his head on the rim and cut himself open. While the end result was him bleeding from the head, Stephens said the pain was minimal. “It’s really not as bad as it looked like,” he said. “When I look at it now, it’s just a little scratch. You wouldn’t think it was from what I did, it just bled a lot when it happened. When Stephens went for the jump after the contest, the most common question was – why? “I do it because I want to see the footage of how I was jumping that day,” Stephens said. “I use it for myself for evaluation. In terms of the street cred thing, I think a lot of dunkers do it. It’s not a big thing that’s done, it’s just a couple of us do it. “It’s obviously not necessary, you don’t have to do it. You’re just hyped up in the moment and you’re sort of curious. “Even when I did it, I half expected to hit it, I’m not going to brag and say I wasn’t trying. “I had a shorter run up and I definitely jumped at the wrong spot, I normally jump a bit further away and normally from a different angle but I was going around that cameraman there. 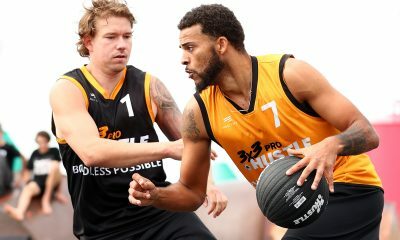 Stephens had mixed results at the 3×3 Pro Hustle, winning Saturday night’s dunk contest but losing to Josh Sykes on Sunday. Despite the results, Stephens was able to create some incredible photos, when he dunked over Sykes and the other dunker, Kyuho Lee. “It was the first time I’ve dunked over two people,” Stephens said. “The idea of it was to get something real explosive and wake people up straight away. 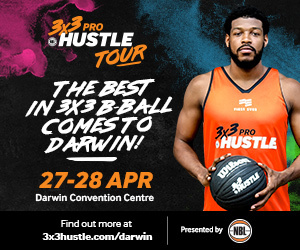 The question for Stephens now becomes how he can top himself in Darwin, when he competes at another 3×3 Pro Hustle dunk contest. Well, never fear, because Stephens has something new in store to entertain us. “The last day or two I’ve been planning for Darwin. I already have a rough idea of what I’m going to do,” he said. “There is one new dunk I want to do. I won’t tell you what it is but it will be one I’ve never even attempted before.